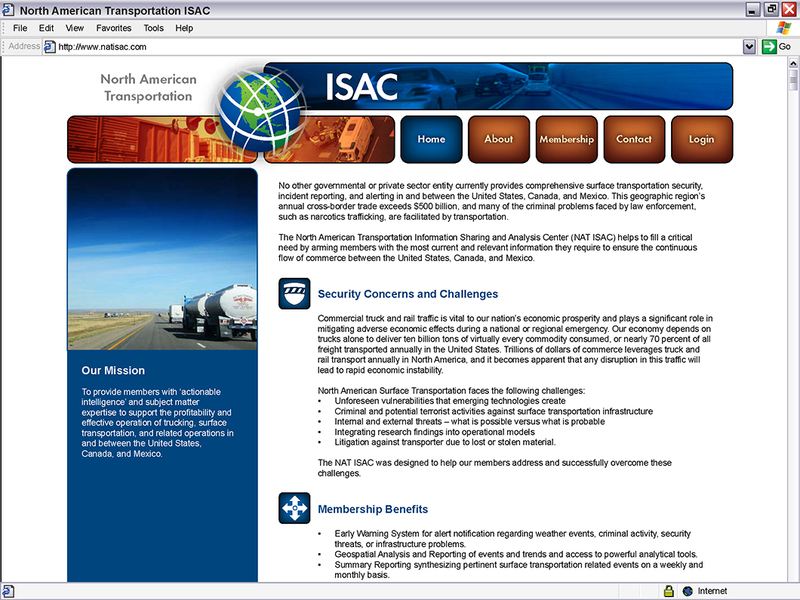 GeoDecisions partnered with the North American Transportation ISAC group. This collaboration needed a logo and web presence, I designed both. From the logo design I layed out and programmed their website which is no longer active.